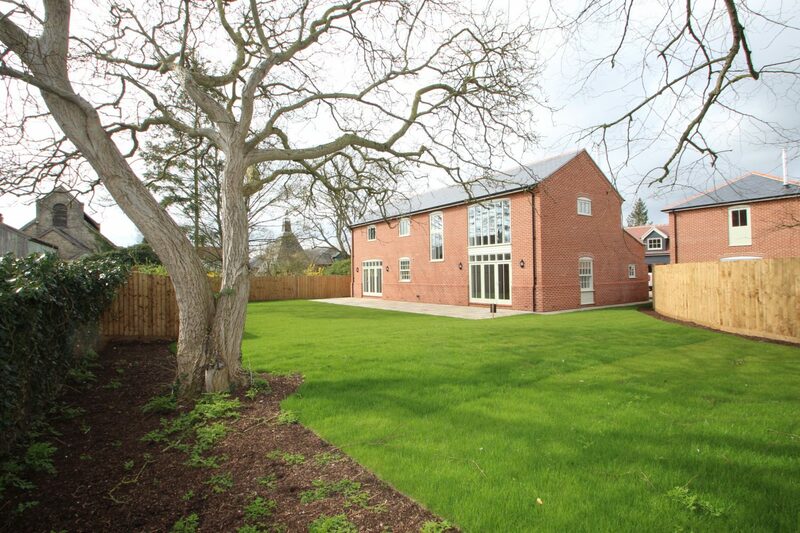 Situated in an enviable position just behind the main street in Long Melford are two extremely spacious individual detached houses. 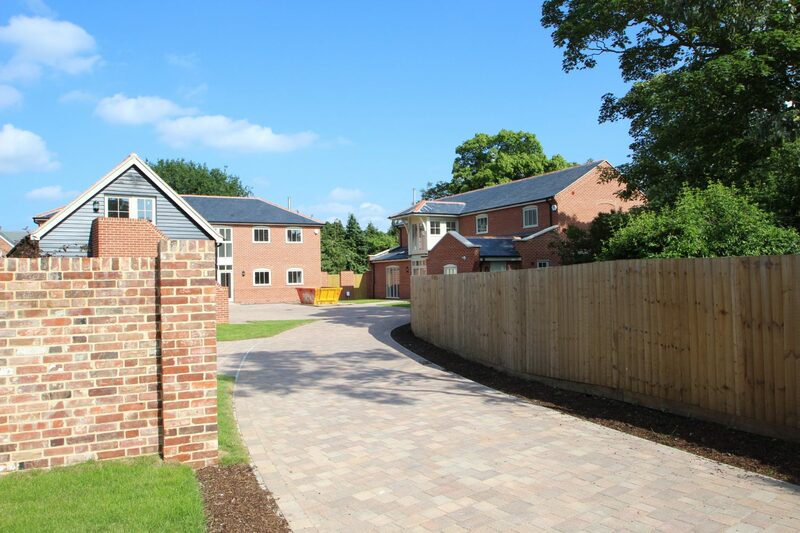 Individually designed to reflect local vernacular architecture, in particular the brick built maltings houses found nearby. The best in traditional building materials with many period details, but yet allow for every aspect of modern living. 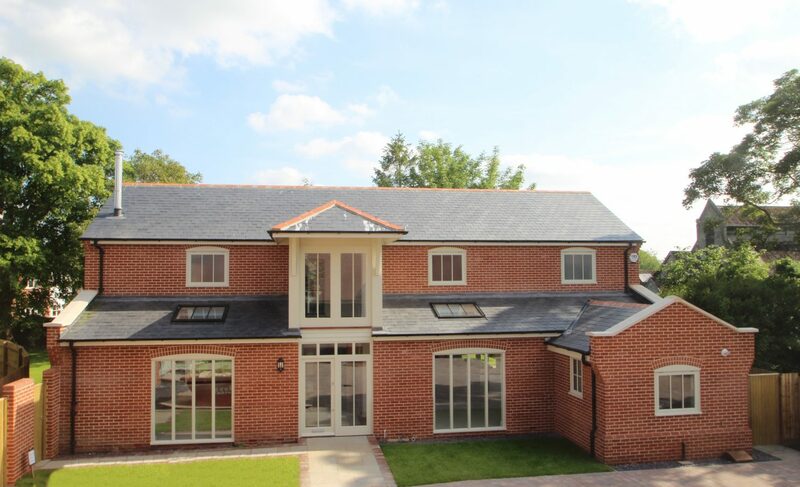 Our joiner has hand-made the windows and doors and every attention has been paid to detail and finish. The established residential area of Long Melford, yet behind the main street, the setting is one of established gardens in a secluded area. 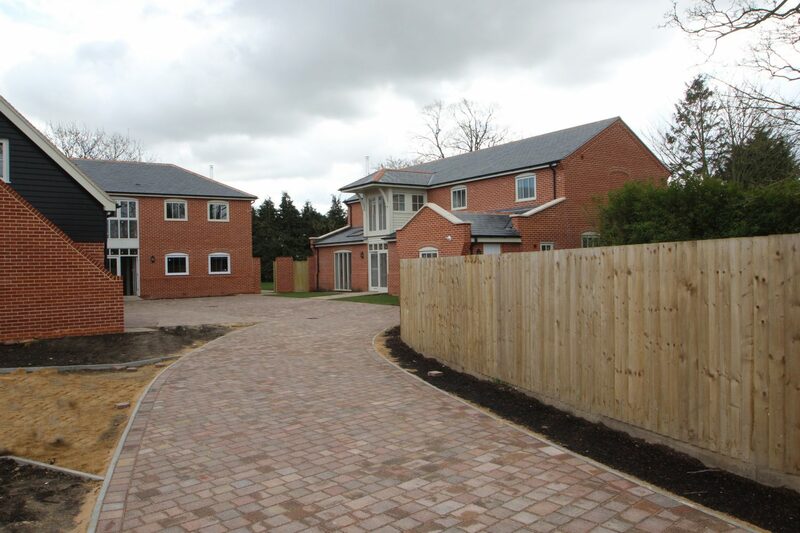 Both properties share a courtyard entrance which serves the garages providing a double garage to each property. 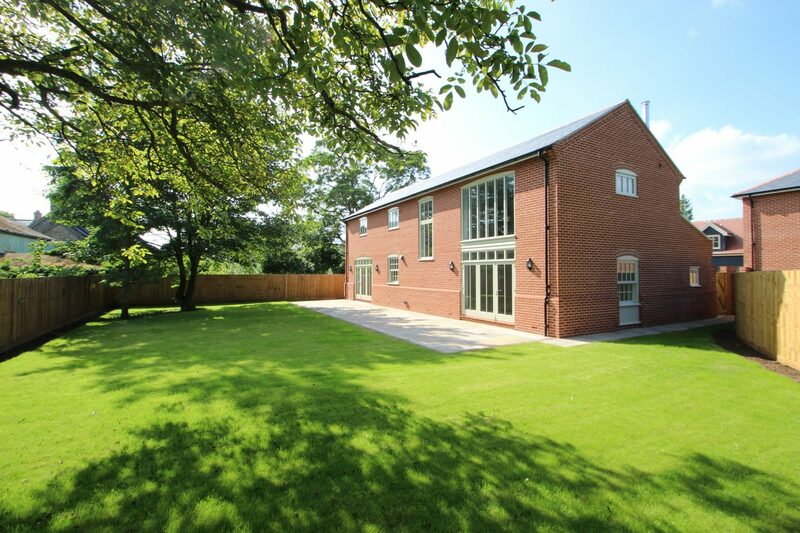 The first of our two properties released was Orchard House. Externally you will see the red brickwork and slate roof reflecting the local maltings buildings and the large feature windows especially that above the front entrance vestibule. Attention to detail spreads to having hand-made windows in painted hard wood, this includes bi-fold doors to the rear. Internally, the ground floor is mostly given over to two large reception areas. 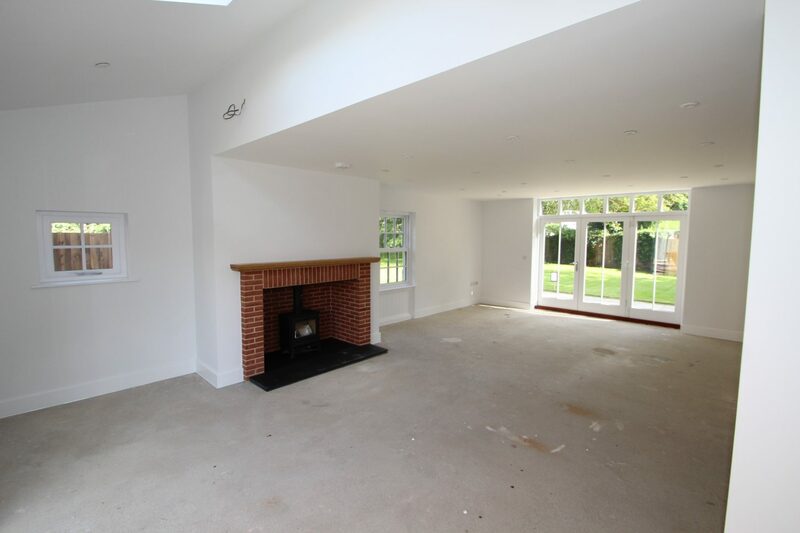 The first being a large Living Room with feature fireplace and log burner. The other principle reception area is a large open-plan Kitchen/Dining/Living area, with fitted kitchen and feature breakfast-bar island. 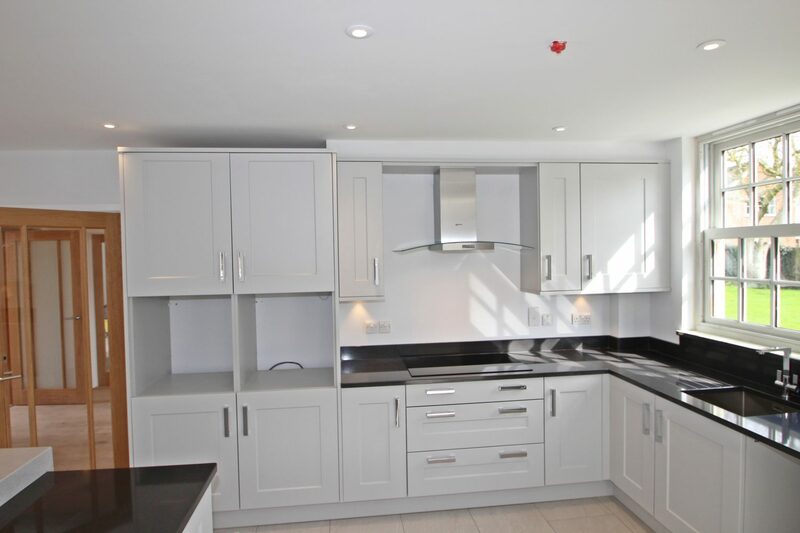 Worktops are in contrasting colours of Silestone and appliances include Neff built-in oven, induction hob, microwave/combi oven, fridge, freezer, dishwasher and a wine cooler. 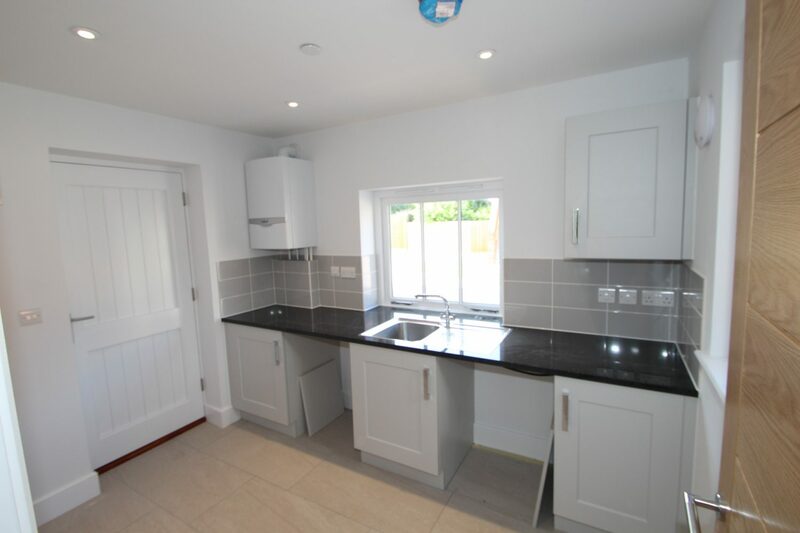 Also to the ground floor are a Utility Room and Cloakroom. A handmade oak staircase with glass balustrading leads to the first floor where a partially galleried landing in turn leads to four individual bedrooms – two of which have En-Suite Shower Rooms and the Master Bedroom also has a Dressing Room. Heating is gas fired and under-floor to the ground floor with radiators on the first floor. There is also a large additional room over the double garage which is fully insulated so could be a teen den or hobby room. To the rear of the property is a large turfed garden which is south-facing and has a natural stone terrace running the length of the rear of Orchard House. Existing mature trees give the garden an established feel. 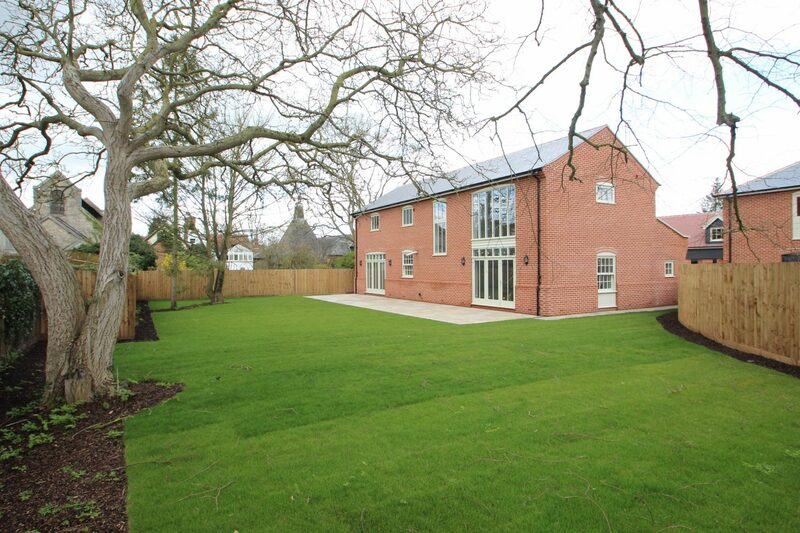 This property has a guide price of £825,000 through Thornton’s and David Burr. The house has an internal floor area of 3,186 square feet giving a spacious feel. 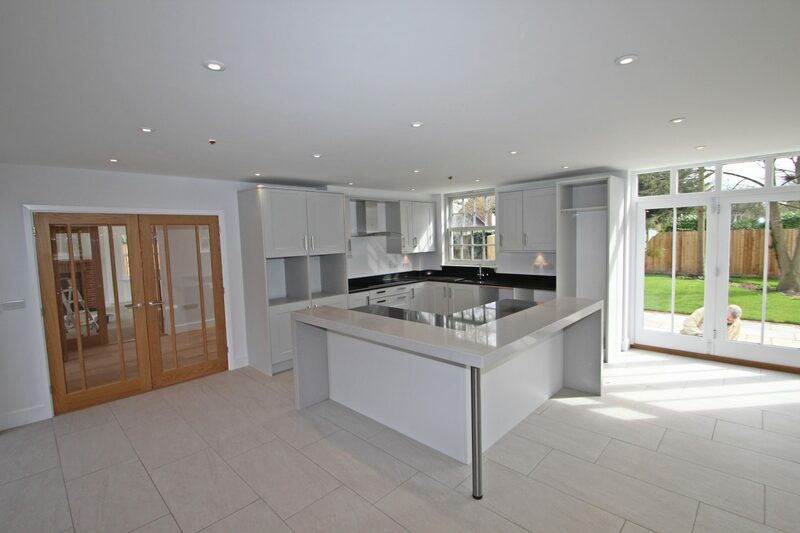 A particular feature of the design is the extremely spacious, high quality open plan kitchen/living/dining area, fitted with a modern shaker style kitchen and Silestone worktops. There is a full range of Neff appliances fitted. This large spacious room will be the hub of family life. Windows on three aspects giving a very light and airy feel. 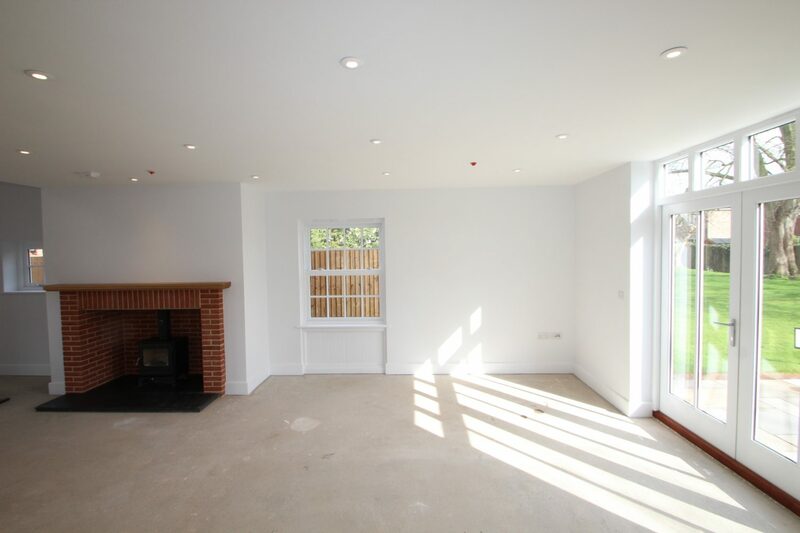 The drawing room has oak flooring and a feature log burning wood stove. Again, large windows on three sides give a light and airy feel. 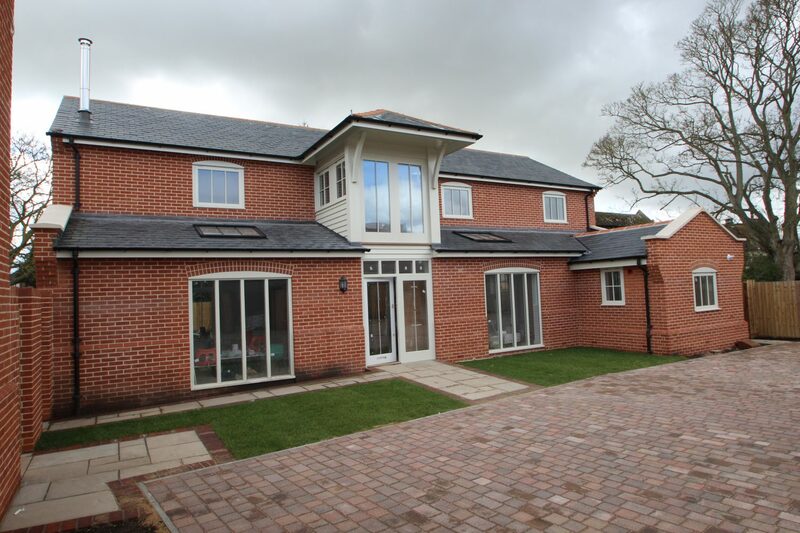 The ground floor is completed by a utility room, cloakroom and rear access lobby. 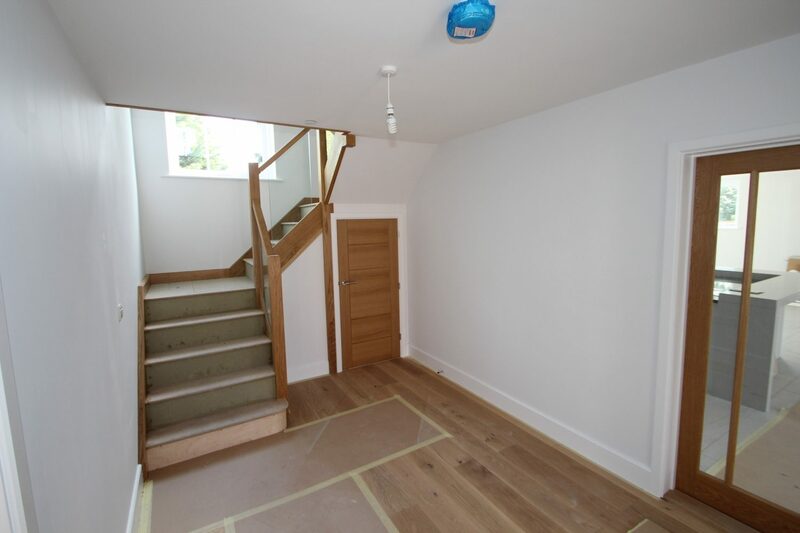 To the first floor there is a large master bedroom with dressing area and en-suite facilities. 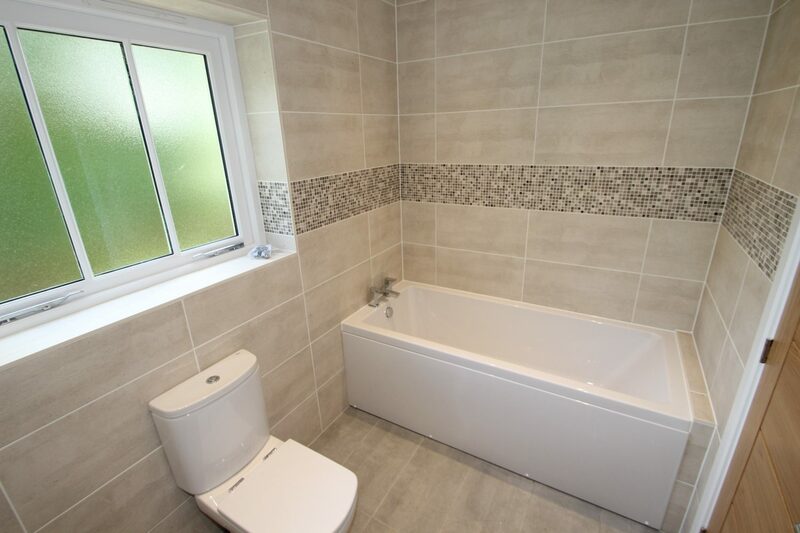 The second bedroom also has an en-suite. 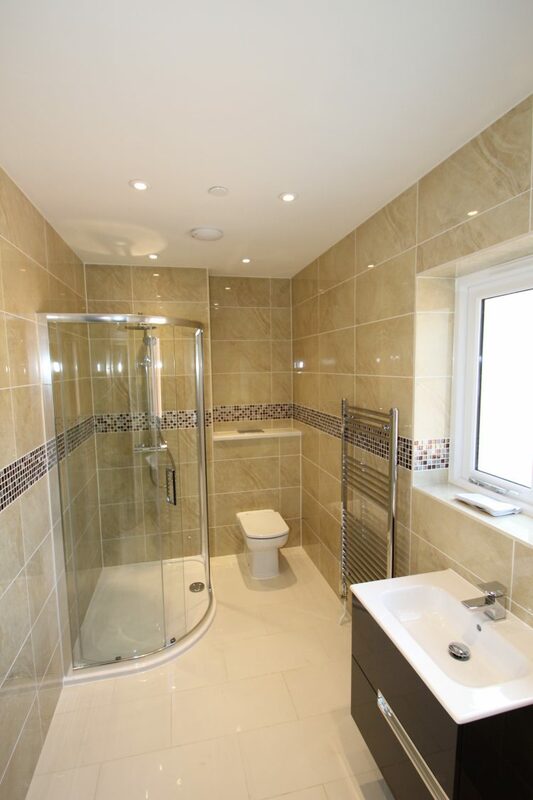 Two further bedrooms and a family bathroom complete the accommodation. 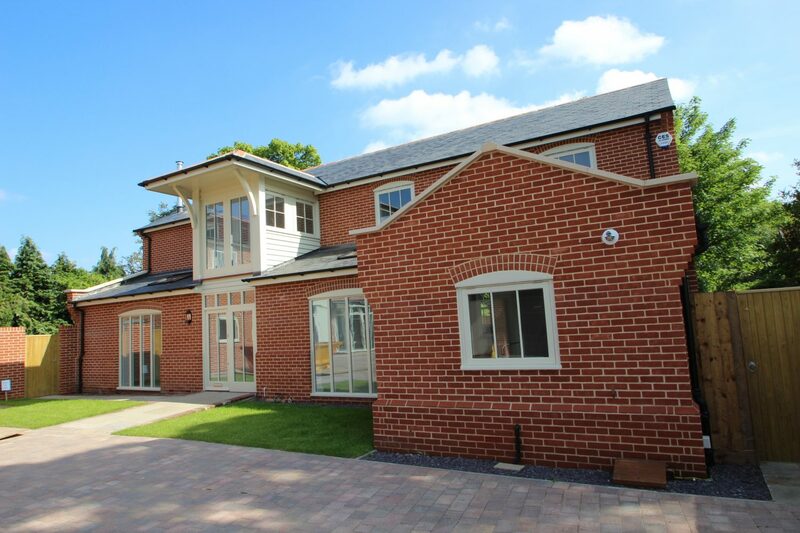 Further accommodation is provided above the double garage with a large guest bedroom/hobby room with an en-suite shower room. Externally, there is a large established garden mostly laid to lawn.